Urban Forestry. The term itself appears to be either a typo by the author, or an oxymoron. At first glance, it seems to make about as much sense as Rural Mass Transit, or Underwater Skydiving. The basic concepts of urban forestry have been practiced for centuries in the United States. In the 1700’s, a city ordinance was passed in Philadelphia mandating that every homeowner “plant one or more trees before the door that the town may be well-shaded from the violence of the sun…and thereby be rendered more healthy.” In 1872, the New York City Commissioner of Health recommended that street trees be planted to mitigate the intense heat to reduce the death rate of children. Here in Texas, The Texas Forest Service Urban Forestry Program helps build self-sustaining urban forestry and tree care programs by working with communities, local governments, and non-profit organizations to plant, care for, and protect trees. One of the most important functions performed by the Texas Forest Service Urban Forestry Program is to maintain an accurate inventory of the trees that make up the urban forest areas in Texas. The Texas Sample Community Tree Inventory (TXSCTI) computer model system is used to create a census of trees in an area. In addition, satellite imagery and aerial photography are used to make an in-depth analysis of tree leafing. The images are then compared to previous years’ data. Measuring the trees that produce new leaves for the season helps to determine the health of different varieties of trees and how they respond to environmental conditions. This may well be the most crucial time in our state’s history for its urban forest areas. According to a February, 2012 report by the Texas Forest Service, “An estimated 5.6 million trees that once shaded homes, streets and parks in communities across Texas are now dead as a result of the recent drought.” This number represents as much as 10 percent of the total number of trees that make up urban forests in Texas. And these estimates are only preliminary as trees continue to die from the years long drought even as the rain has recently returned. Besides their intrinsic beauty, trees provide many environmental and economic benefits to urban landscapes. Trees help to reduce the amount of energy used by homes and buildings by keeping them cooler in the summer with their shade, and warmer in the winter by blocking cold north winds. A recent study reported that trees provide a total savings in energy costs to the Houston area alone of $131 million annually. Trees improve air quality by capturing pollution particles in their leaves, reducing carbon dioxide, and producing oxygen. 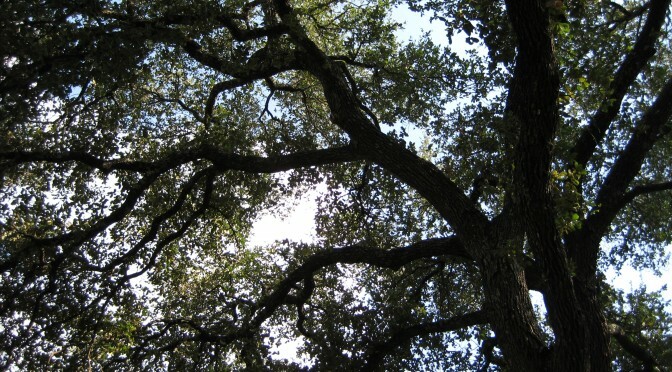 The same study reported that Houston’s urban forest removes 60,575 tons of air pollutants per year with an annual economic value to the area of nearly $300 million. Trees improve the water quality of our rivers and streams, and prevent millions of gallons of water from needlessly entering sewage treatment plants, by capturing rainfall and reducing erosion and storm water runoff. Trees provide food and shelter for a wide variety of wildlife. They provide privacy, and reduce noise and glare. Just the sight, sound, smell, and touch of plants and trees can reduce a person’s stress level and help provide a better quality of life. Trees help to strengthen the local economy. Healthy, established trees can increase property values by 10 to 20 percent, which in turn can increase property tax assessments. By analyzing our current urban forest inventory, its composition, its health, and its impact on our communities, both short-term and long-term management plans can be developed and implemented to maintain and expand our urban forest for generations to come. You don’t have to be a major commercial developer, or Urban Forester to make a difference. Take a look at the numerous native trees that are adapted to your area and plant several in your yard. As the old adage goes, the best time to plant a tree was 20 years ago, the next best time to plant a tree is today. Make sure that your trees are properly pruned and maintained. Get involved; I’ve started working with my homeowners association to form a neighborhood suburban forest program where I help my neighbors properly prune their trees, and offer tips on proper fertilization, watering, and care. Imagine the day many years from now, while sitting in the shade with your grandchildren, that you will share the story of how you thought about them long before they were even born, while planting the tree under which you now sit.